I’m a little late on this one… I had a really bad stomach flu for the past 3 days and this is the first day I’m able to sit up and keep food down. I know mother’s day has come and gone, but I still wanted to say something anyways. 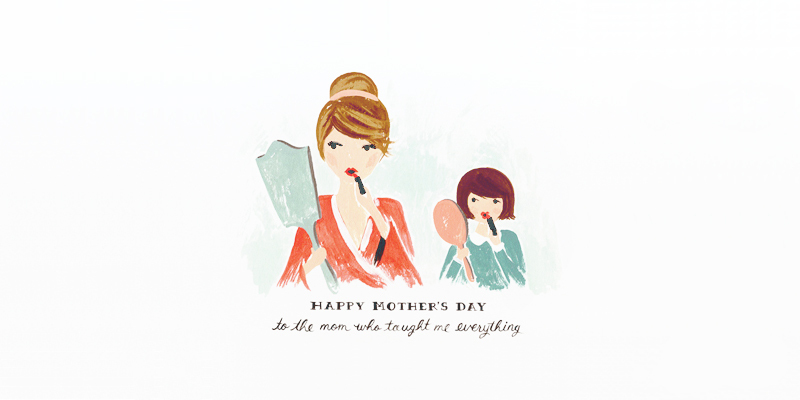 First of all, Happy Mothers Day to all the blogging mama’s out there! Secondly, Happy Mother’s Day to my own wonderful mom! Without her, I wouldn’t know how to make a website. She helped me learn the basics and also how to create animated gifs at the tender age of 9. (They were awful. If you want a blast from the past you can check out the website & some gifs my sister and I made here) She taught me that make-up goes on your face, not your sister’s porcelain dolls. (Sorry Lauren.) And most importantly she’s taught me how to be a good person and helped me become the lady that I am today. This entry was posted on Wednesday, May 15th, 2013 at 8:32 pm	and is filed under A Day In The Life. You can follow any responses to this entry through the RSS 2.0 feed. You can leave a response, or trackback from your own site.